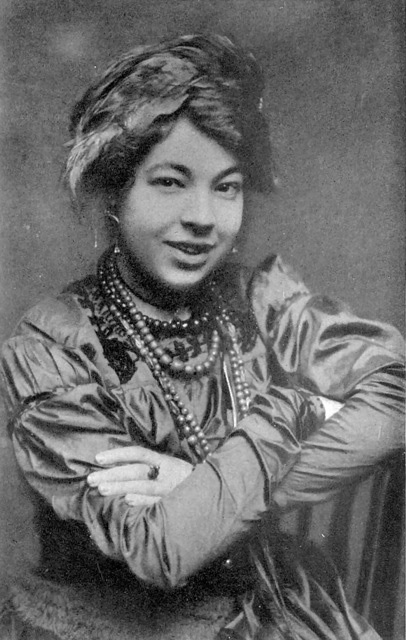 I couldn’t let this day go by without saying a word about Pamela Colman Smith (February 16, 1878 – September 18, 1951), because she was connected to two topics on this blog: the occult and horror fiction. Pamela had an exotic background. Born to an American father and Jamaican mother, she grew up in England, Jamaica, and the United States. Illustrator, artist, reteller of Jamaican folk stories, she sounds like an interesting person. And she got around, too, meeting a number of famous people. Among the people she met was poet William Butler Yeats, who introduced her to the Hermetic Order of the Golden Dawn, the most notable British occult group of the era. She joined the Golden Dawn in 1901. 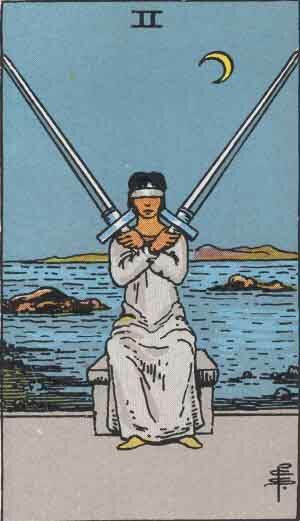 There she met A. E. Waite, who commissioned her to draw the Tarot Deck he was devising. The result, published in 1909, was the most influential deck produced in the Twentieth Century, variously called the Rider-Waite or Waite-Smith deck. Odds are, if you’ve ever used a tarot deck, it either was a copy of the Waite-Smith deck or heavily influenced by it. The trumps (Major Arcana) are so familiar that I’ve posted a Minor Arcana card here so readers can study Smith’s work from a fresh perspective. A few years later, in 1911, Pamela was commissioned to provide the drawings for Bram Stoker’s last novel, The Lair of the White Worm. Lair is in the same mold as Dracula, but much less successful. Indeed, it’s so bad that it was rumored Stoker was dying of tertiary syphilis while he wrote it. Probably its strongest feature is the surreal nightmarish atmosphere that pervades the story. Smith must have recognized this, as her drawings certainly capture the surreal element. Pamela Colman Smith’s career seems to have petered out with the coming of the First World War. After it was over, she received a legacy and moved to Cornwall, where she died many years later. This entry was posted in History and tagged biography, Bram Stoker, Fiction, Golden Dawn, History, horror, Illustrations, Lair of the White Worm, literature, Magic, occult, Pamela Colman Smith, supernatural, Tarot, Waite, william butler yeats. Bookmark the permalink. Certainly Pamela Smith looks like an interesting person with a sparkle of unspoken humor in her eyes. Interesting to know more about images we all may have seen at one time or another and never thought about who drew them. Like Ida Outhwaite’s fairies. For some reason the image of the worm has a Lovecraft feel to it..or maybe its the mention of surreal nightmarish atmosphere!! Of course, I had to go read up on Outhwaite after you posted this. The worm is indeed rather Lovecraftian, being ancient and oversized, and capable of shifting forms. So I guess Pamela got her point across! I have read the Stoker’s Lair of the White Worm. 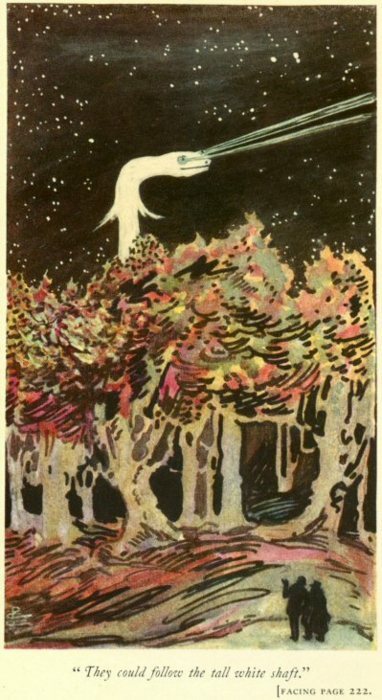 It’s an amalgam of the Laidley Worm, a localised version of the ballad ‘Kemp Owyne’ in which a wicked stepmother throws a girl over a crag into the sea, at the same time turning her into a monster – from which spell she needs 3 kisses from the hero Kemp Owyne (Kemp here meaning knight) to be released; and the Gallic-Celtic mermaid Melusine. Sir Walter Scott includes her tale (no pun intended) in his Minstrelsy of the Scottish Borders. The best known story is of her marriage to Gui de Lusignon, Count of Poitou. The family is supposedly descended from this serpent-tailed goddess of the spring (well, pit, mere, whatever, in which the Laidley Worm resides). A less ‘pretty’ version is Grendel’s Mother, Jenny Greenteeth. It should have occurred to me that you would know more about this, for a number of reasons. Thank you!